It’s easy to write off Facebook as a way to waste your life online rather than having actual real life friendships. Facebook wants to change this attitude. 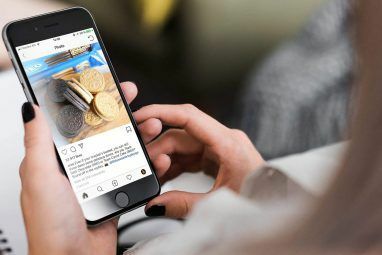 Recently, Facebook has released a bunch of adverts to real-life audiences to show how Facebook actually augments and facilitates real life activities, rather than supplanting them. I wholeheartedly agree that Facebook is generally the means to an end, rather than the whole interaction. This is something much of the older generations don’t seem to understand: social networks are another way to communicate, just like the telephone and letters in your postbox are. Yes, Facebook is a place where photos are shared and conversations are started that lead to nowhere, but they’re not the only conversations that happen. Events are created, old friends are kept in the loop and friends-of-friends are quickly able to become better friends. Facebook makes these things easy and therefore has changed the way we communicate. This video really nails it. If you ask your friends on Facebook for a good dance instructor, then you’re both taking up a new class and meeting new people. This update took you a couple of seconds to write, yet the results changed your social life forever. This happens all the time. A depressed chat message or status update on Facebook often leads to a spontaneous visit from a good friend. When you announce your goals to your friends, you are more likely to follow through. Especially if they’re all cheering you on and giving advice via Facebook. Fun stuff happens offline. These days, someone will usually share it on Facebook within minutes and you just might find yourself with enough time to join in before it’s all over. Way better than the days of sitting at home waiting for your friends to call you and tell you where they are, huh? Write a status update asking a question about something you can do locally. Start an event for a random picnic or dinner at a pub or restaurant. Write a status update about something you want to give away or sell. Join a local Facebook group for something you enjoy, like a games group. Keep notifications active so that you find out when events are coming up (read more about managing Facebook notifications How To Get Rid Of Facebook Notifications & Other Annoying Things You Don't Want To See [Weekly Facebook Tips] How To Get Rid Of Facebook Notifications & Other Annoying Things You Don't Want To See [Weekly Facebook Tips] Several of my friends who use Facebook almost every day recently told me how they hate always getting notifications for dumb games people want them to play, or updates about these games in their home... Read More ). Tell people about your goals and aspirations. Get your friends to support your efforts. Keep notifications on for friends who you know are always doing fun stuff locally. You never know what might come up (use friends lists Using Facebook Friends Lists For Interests Or Circles [Facebook Hack Or Tip Of The Week] Using Facebook Friends Lists For Interests Or Circles [Facebook Hack Or Tip Of The Week] Is Facebook driving you crazy? Most people who use Facebook generally view the home feed in its unfiltered form, which means they're seeing updates from friends, acquaintances and pages all lumped in together and shown... Read More to keep track of these people, and learn how to use notifications with your close friend list Facebook Tip: How To Disable Close Friends Notifications Or Remove Friends From The Close Friends List Facebook Tip: How To Disable Close Friends Notifications Or Remove Friends From The Close Friends List Facebook makes it very easy to add friends to the list from the top of the news feed, but it’s not as easy removing them. After you’ve figured it out it’s not complicated at all,... Read More ). Make sure you have a smartphone app with notifications set up so you don’t miss anything important (check out these Android apps for Facebook Faster, Leaner, Better - Alternatives To The Android Facebook App Faster, Leaner, Better - Alternatives To The Android Facebook App Oh, the joys of having social media available to us at any time of day thanks to the advent of the smartphone. Facebook has always been (at least on the surface) about connecting with your... Read More ). Set yourself up so that birthdays and Facebook events are in your regular calendar 10 Ways To Use Facebook Without Going To Facebook 10 Ways To Use Facebook Without Going To Facebook Read More . The “Facebook does lead to real life interactions” argument falls down when you’re using Facebook to interact with friends and family who live a long way from you, or if you’re a stay-at-home parent. In these and other cases, Facebook can be your only contact with these people. However, I still feel that it helps to stay in touch with the minutiae of their lives and therefore leaves you more in touch with their goings-on when you do finally chat in person or in a call. 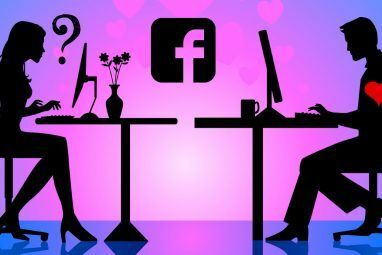 In fact, interacting somewhat via Facebook can actually cause you to realise you’re both online at once and start a spontaneously chat or video call. It can really keep you closer to these people who live at a distance. Trust me on this, I’m both an expat and a mum. Facebook’s entire series of adverts are called “Where will your friends take you?” and can be found in a YouTube playlist if you want to watch them all. Who knows, you might get inspired to use Facebook “the right way”. 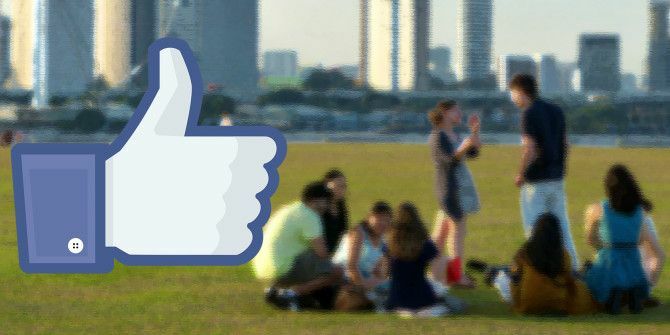 What do you do to make Facebook lead to real-life fun? What works for you? Great videos and so often true! I am creating more real time and real life interactions with fans via a client's page. A couple of years back we used FB as the means of organizing a reunion of some local bands from the early 1980's. A lot of us hadn't seen each other for nearly 30 years at that point. It was kind of like a school reunion, except with people you *LIKED* .